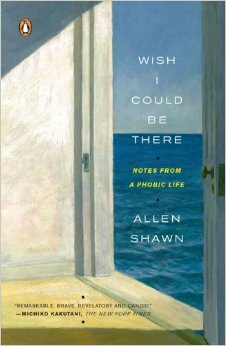 Which is why I had to get hold of Allen Shawn’s amazing memoir, Wish I Could Be There, as soon as I heard about it. A composer, pianist and writer, Shawn is also an agoraphobic, afraid both of entrapment in subways, tunnels and lifts and the wide open emptiness of fields, car parks and bridges. He has a lot of trouble travelling on a road he has never taken before and struggles to get on a plane. Having fought against it for most of his life and not really got very far, he decided to write about the experience of being phobic and about some of the possible circumstances and causes that might have produced it. The result is one of those rare books of insight and compassion, utterly clear-sighted about the condition and a piece of admirable literary non-fiction as well. Yup, Allen, like looking in a mirror for me, too. Whilst I found the more theoretical parts of this book full of interesting insights, I have to say that it’s Allen Shawn’s descriptions of his family that really engrossed me. He writes so well, with such generosity and tenderness, about a family that was shockingly unique and awkward to live in. Shawn knows that his father, an editor, suffered from similar phobias and that his mother may have done too – genetic inheritance is very much a part of the phobic landscape. But there were other factors that he believed may have had an impact. He was born with a twin sister, Mary, who had some severe form of autism compounded by other psychological problems that resulted in her removal to a care home when they were both eight. This was the fifties, and so nothing was said about the sudden and irrevocable absence of Mary. She was there one day and gone the next, and from then on they visited her very rarely. Allen Shawn was aware only later in life of the deep impact this had on him. To add to the underlying tensions and stresses of the household, his father kept a serious long-term mistress of whom they were abstractly aware in the form of their father’s odd double life: ‘it wasn’t uncommon for him to eat, or at least, attend, four or five meals a day to accommodate all the important people in his life.’ Something more, then, to keep under wraps, more seismic, churning emotions to be denied in the very act of living alongside them. ‘Cheerfulness that masks hidden anguish can be even more frightening than the messy truth,’ Shawn writes. Yet he is quick to defend his family from blame, too, insisting on the large number of cousins, aunts, uncles, grandparents, who all suffered from phobias of one kind or another, without such family circumstances to generate them. These are factors that in hindsight seem to have had a part to play, but his implication is that if you are born with a phobic mindset, you’ll find the reasons for that strange underground fear one way or another. 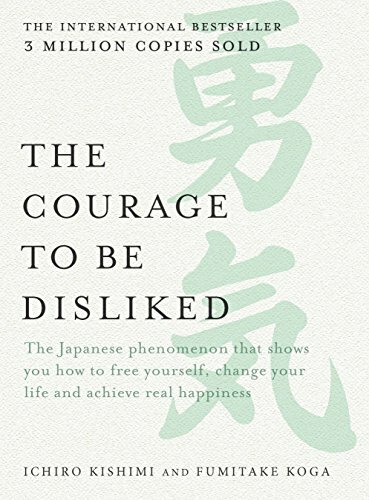 Ultimately, I think we have to see phobias as existing in the same existential constellation as dreams – overdetermined places where the knotty pathways of mind and body meet, a strange and sometimes sadistic way of processing more fear and dread than we have words for, a process whereby false correlations take on the power of divine judgements. And yet another curse on the heads of those who are sensitive and creative: ‘If they didn’t cause so much suffering, we could come to appreciate these strange revulsions as touching evidence of the human imagination,’ Shawn suggests, ‘spontaneous projections from our inner selves.’ If you are phobic then I strongly recommend this beautiful book, for all sorts of surprising and comforting ways of looking anew at a crippling problem. This book was an eye-opener in many ways, I found! The ‘genetic inheritance’ point is fascinating and presumably learned behaviour from observing a parent may play into it, too. This seems to me to be an extraordinarily brave book, such self exposure must have taken great courage. Yes, indeed. There are times when he talks about how difficult it is to describe something that feels so shameful, but he never flinches. What I admired most was the way he managed to be both lucid and compassionate throughout the narrative. I think he must be quite a special man. I don’t have any serious phobias. Spider phobias are easily dealt with by killing them. But the revulsion is so deep that I can’t imagine not having that reaction, which is a tiny sliver of an insight into the panic that must be set off by phobias of anything larger/less avoidable. Sounds an interesting and important book. That’s so interesting, and yes, an insight into that sort of reaction magnified up a hundred times! The worst types of phobia are the unavoidable ones – like being afraid of illness. I was really intrigued when the author suggested that bigotry was a kind of phobia – but one that triggered the fight rather than the flight response. Which is why people are less embarrassed about it. Alas, we only ever think running away is the shameful thing. It WAS a really interesting book! I loved this review, and am very interested to read the book. As ever, I’d love to know what you think of it. Your comments on Gossip were fascinating to me – I do find it so interesting to hear about friends’ reactions to books I know about. I shall return and give you the update when I’ve finished it…I am still finding myself perversely compelled to keep reading, much in the way that I feel perversely compelled to eavesdrop on annoying people in restaurants…which is, I think, part of the point of the book, and in that respect, it’s a magnificent success. 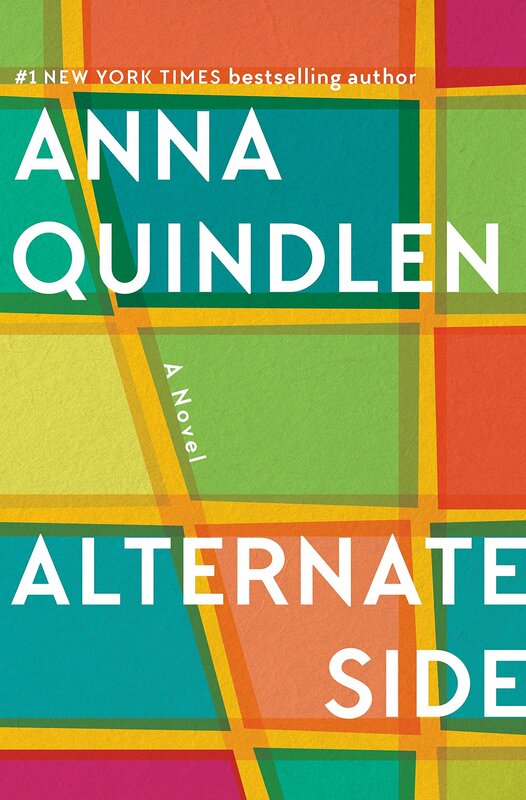 It sounds like a wonderful book and I would like to read it. Lilian, I think you’d like this – and I would love to hear how you got on with it! I’ll let you know. Btw, I finally have a new blog post up! Interesting. I had my first fear-induced panic attack earlier this year–in a dental chair at the start of a root canal–and that mind-body connection was both terrifying and fascinating (the latter only after the fact). My body simply would not allow me to stay in that chair and get the treatment I needed, even though my conscious mind knew I would be OK. And I remained physically on edge for several days after. I ended up needing sedation to get the root canal, but my dentist and I were later able to figure out what triggered my panic (it was the blocks that propped my mouth open), so I can get routine stuff done without sedation, but I cannot imagine having to deal with that kind of feeling routinely without a way to avoid the thing that brings it on. Well I can quite understand your reaction. Root canal work is something I dread and know I will one day have to face. I’m planning on taking a good shot of valium! What you say about your body not allowing you to stay put is exactly right – I actually think it’s better to get up and go away and then think about what needs to be done. Somehow, we betray ourselves deeply when we try to push forward under circumstances of intense panic. And at least you know you can be sedated again if necessary, and knowing that does help, I think. Thank you so much for the reblog and the kind words. I do think this is a book a lot of people would benefit from reading! Well, naturally this appeals to me, as like you, I love reading about people’s mental problems. His family sounds — I don’t even know the adjective I want here. I can’t imagine suddenly coming home and finding your sister gone for good. Yeesh. I would love to know what you think of it. Allen Shawn writes so well about his family – the tenderest of eye-rolling – that you don’t find yourself judging anyone. He makes it seem tragic and inevitable, which it probably was at the time. This sounds like a fascinating book. How very brave of him to write it but I also imagine there are lots of people who will be able to comfort in his story and not feel so alone. I don’t have any full-fledged phobias but elevators make me nervous and needles used to make me faint. My needle issues have been getting better over the last few years though and I am not quite sure why but I can say that I am rather relieved about the change from on the verge of fainting to a quickly passing slight woozy feeling. Does he talk about getting rid of phobias at all? He does talk about it a bit at the end. He says that gradual and very gentle exposure to the things we’re phobic about will help. I read a while back in Tania Byron’s book that the way to deal with anything we’re deeply anxious about is to break it down into the smallest of component parts and then start in a tiny way to face up to them, frustrating ourselves all the time, never going too far. I’ve taken this advice to heart in helping me overcome my claustrophobia when travelling and it does seem to be working quite well. The idea is to build up a store of new memories that overwrite the old panicky ones. It takes time, but it’s worth it for a lot of us! This sort of memoir is something I seldom read, and I should rectify that. I perfectly understand your feelings about spiders – I am no fan of them either and have been known to throw a hissy fit when one is on me. 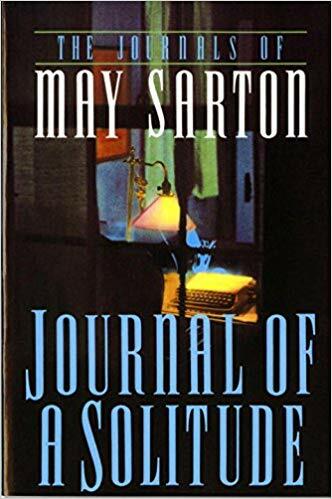 Memoirs are funny – they lurk mostly to the side of my reading consciousness and don’t often hove into view, but I do love them as a genre, and once I get started on them, they’re like sweeties! Lovely review. I’d like to read it too. I don’t think I suffer from phobias so much as generalised anxiety. I think a phobia is just what happens when all that generalised anxiety thinks of a good reason for existing. I’d love to know what you think of this. For obvious reasons to do with your profession, I think you’d find it very interesting. Beautiful review. I asked my brother if he had an eye phobia (mine is severe) and he said he wouldn’t go that far but later admitted to my mother that he cannot bear the thought of putting in contacts. So a genetic component makes a lot of sense. I can also see the signs of depression in various members of my extended family. 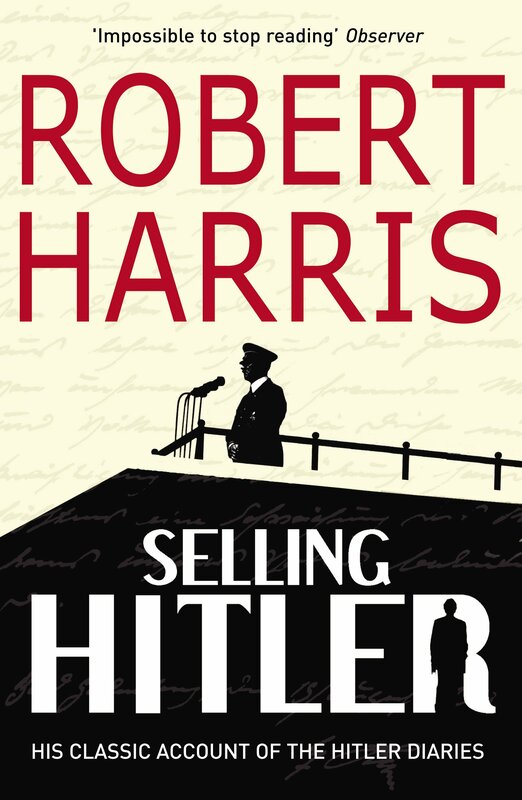 I look forward to reading this book and I think I will put it on my Christmas list. This sounds really interesting. I had no idea phobias were genetic. I’m only surprised, given his description, that I am not more phobic. Though maybe I do have my owh phobias but don’t realize it–or maybe it is just painful shyness not helped much by past failures in relationships. It’s all so interesting and a little scary, too.